Imported from India. Size is 72" x 108" (twin bed). 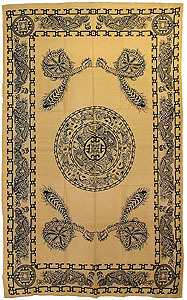 Great as an Altar tapestry, wall hanging or bedspread. Pentagram Imported from India. Size is 72" x 108" (twin bed). 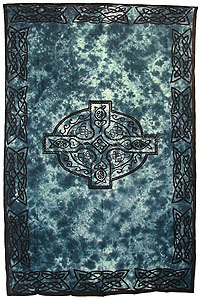 Great as an Altar tapestry, wall hanging or bedspread. Celtic Knots Imported from India. Size is 72" x 108" (twin bed). 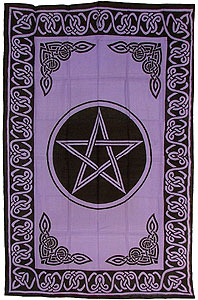 Great as an Altar tapestry, wall hanging or bedspread. Celtic Cross Imported from India. Size is 72" x 108" (twin bed). 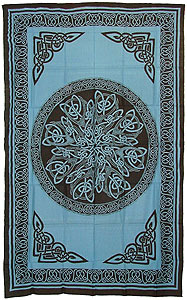 Great as an Altar tapestry, wall hanging or bedspread. 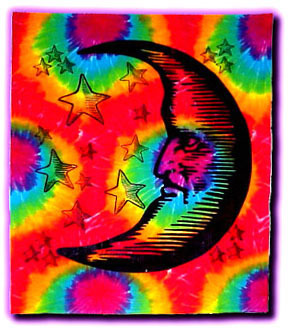 Tie Dye Moon Cool tapestry printed in high quality silk screen on vibrant tie dye cloth. Size: 40� by 45�. 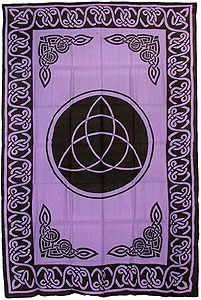 Great as an Altar tapestry or wall hanging. 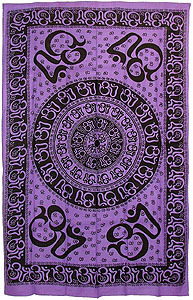 Cool tapestry printed in high quality silk screen on vibrant tie dye cloth. Size: 40� by 45�. 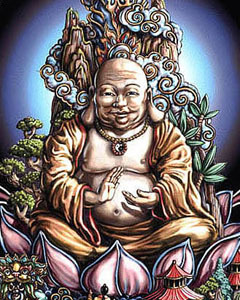 Great as an Altar tapestry or wall hanging. 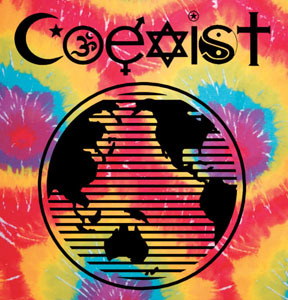 Tie Dye Coexist Cool tapestry printed in high quality silk screen on vibrant tie dye cloth. Size: 40� by 45�. 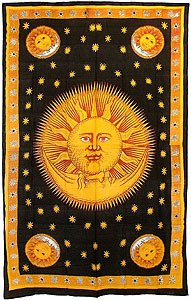 Great as an Altar tapestry or wall hanging. 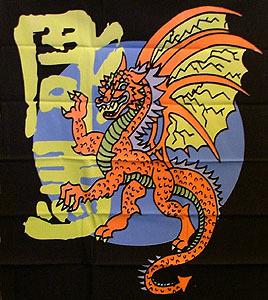 A stunning, full color wall tapestry printed on durable cotton flannel. The design will respond to a blacklight by glowing brightly, but it also looks great in regular light. Size: 24� by 29�. 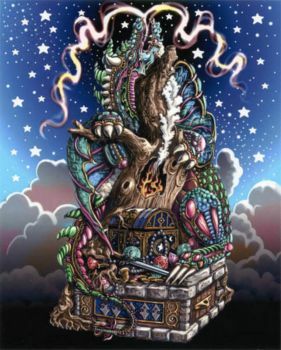 Dragon's Treasure Blacklight Tapestry A stunning, full color wall tapestry printed on durable cotton flannel. The design will respond to a blacklight by glowing brightly, but it also looks great in regular light. Size: 24� by 29�.